The Military is a dedicated career and way of life which may affect your family and livelihood on a daily basis. Although there are some circumstances which you cannot claim, it is always better to confirm such instances with a solicitor who is a specialist in the field. Many people have misconceptions of Army claims. Military injuries are commonly brushed aside as the individuals hold themselves to blame, or are incorrectly told they have no right to claim. If the individual can prove they received their injury due to a breach of duty of care, or negligence, or another, they may be able to claim compensation. Unsafe working conditions during training. 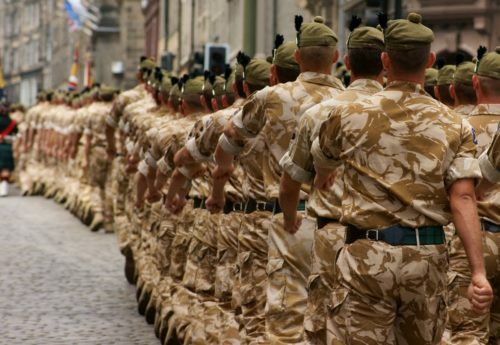 At Bloomsbury Law, we have an extensive level of experience regarding Military claims. We also appreciate the Military is more than a career path and rather a way of life. This is why we will fully investigate your particular circumstances to ensure you received the highest level of compensation for your situation now and how your injury affects your life in the future. If you are seeking advice on Military claims, please give one of our specialists a call and we will listen to your story and advice you accordingly.